The Civil War, which was first played in 1894, is the seventh-oldest rivalry in the country. It features Oregon’s two largest institutions, Oregon State University and the University of Oregon, separated by just 40 miles of I-5 pavement. Since the beginning, it’s been a rivalry both on and off the field. Cheer battles, blood and food drives, recycling contests: there are endless ways to compete. Even the mascots get into it sometimes – or a few times. The Civil War whips fans into a frenzy across the state and beyond. No matter which team you support, it’s a time to come together and enjoy the power of rivalry. It’s for school pride and bragging rights. Some even say it’s bigger than any bowl game or postseason play. The game hasn’t always been pretty. Since the beginning of the epic annual battle, there have been 10 ties, including a 0-0 final in 1983 dubbed the “Toilet Bowl.” Still, no matter how rough the weather or how good or bad the teams are, fans show up. Because the Civil War is the Civil War, and every Oregonian knows exactly how important it is. 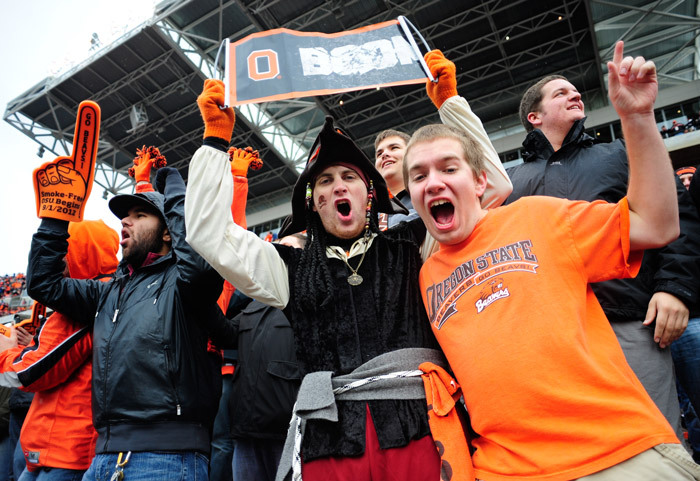 This Saturday, the teams meet again at Reser Stadium in Corvallis, No. 15 against No. 5 in the 116th installment of this great rivalry. Will Oregon capture victory and solidify its place in a BCS bowl game? Or will the Beavers deal the Ducks their second straight loss and climb the rankings one more time? It’s all up for grabs. Pride, rivalry, senior night. In 1998, the Oregon State snapped a four game losing streak to Oregon with a stunning 44-41 overtime win, which vaulted Oregon State into top-10 contention for the following years. During one stretch, the Ducks won 12 games in a row. In 2000, both teams met in Corvallis, Oregon was ranked No. 5 and Oregon State No. 8. A 23-13 win for the Beavers pushed them into the Fiesta Bowl, where they routed Notre Dame for their first major postseason victory in years. 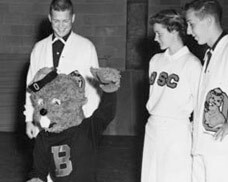 From 1936 to 1974, the Beavers captured 28 of 38. Beginning in 1998, each school exchanged wins over nine years of home team dominance. That streak was broken by Oregon State in 2007 with a thrilling 38-31 statement over the Ducks in Eugene. But since then, Oregon has won four in a row. To the class of 2016, welcome. To all of Oregon State’s sophomores, juniors, seniors and super seniors, welcome back. Whether you’re just starting out here or returning for the second, third or fourth time, Oregon State has new experiences, helpful resources and valuable opportunities to offer you this year. To get the most out of Oregon State University, take some advice from the people who know it best, and share their knowledge about campus on a daily basis. Oregon State tour guides introduce visitors from around the country to the campus, communicating volumes of knowledge about resources, buildings and opportunities on campus with curious students and their parents. Bahar Ehfad, a senior studying psychology with a minor in communications, has been giving tours since June 2011. And that experience has given her a new way of looking at the campus — both as a tour guide and as a student. Ehfad uses her X-ray vision to give prospective students as much useful information as possible, relating a building to a personal experience she had there, then describing the resources that can be found there. But she has also used that knowledge to improve her own experience at Oregon State. It’s never too late to take your first tour, or just tag along for a refresher. Guided tours leave Monday through Friday at 9 a.m., 11 a.m., 1 p.m. and 3 p.m. most days throughout the year, so check in with the Visitor Center. But you don’t have to go on an official campus tour yourself, or even befriend a tour guide to discover more about Oregon State — though both would be beneficial. Instead, act as your own tour guide by observing more closely, asking questions and following up on events, resources and opportunities. Once the first few weeks of school have passed — when getting to class and finding dinner are no longer difficult — take the time to enrich your experience at Oregon State. Challenge yourself to learn something new about campus, or to utilize a resource you just found out about, or have been meaning to follow up on. 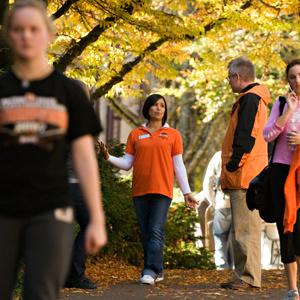 Ehfad recommends taking friends along, or even channeling an Oregon State tour guide by donning an orange polo. Whether you’ve been at Oregon State for three weeks or three years, she says there’s always something new to learn. Once you’ve learned about a host of resources you’d never heard of before, decide how you’ll put that knowledge to use. Whatever point you are at in your education at Oregon State, new opportunities can help you get more out of the time you have left here — both academically and recreationally. Ehfad calls it her Oregon State bucket list. Call it your bucket list, or even your cap and gown list. Before you don a black cap and gown and walk across the stage in Reser Stadium to receive your diploma, what do you want to do? For Ehfad, the list includes jumping on the trampolines at Gladys Valley Gymnastics Center, getting a free massage at Dixon Recreation Center, renting a study room with whiteboard walls at the Valley Library and shooting at the Pistol Club’s indoor firing range. If you’re a first-year student or a sophomore, maybe your goals are big: study abroad in Madrid, earn a double degree or walk on to the Oregon State football team. 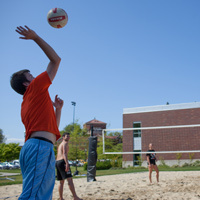 Upperclassmen might have the same goals, or maybe just some odds and ends to finish up, like taking a unique class, ordering a Panini from Bing’s Café or playing beach volleyball at Dixon Recreation Center. Either way, take advantage of this campus and the opportunities and resources Oregon State offers while you can. Beyond checking off activities available on campus, make an effort to get involved with some of Oregon State’s engaging programs. If you’re interested in working with children, get started right away with KidSpirit or Individualized Movement and Physical Activity for Children Today (IMPACT), two programs that put students to work interacting with kids. Those who want to pursue leadership positions in the future can begin building experience with the Associated Students of Oregon State University or the Memorial Union Program Council. Or learn more about how to get involved in student organizations, campus events and other initiatives students can contribute to through Student Leadership and Involvement. As Ehfad found, the best way to learn about this campus is to experience it for yourself and then pass that knowledge on to others. Enjoy deciding what that means for you and making it happen, whether that means landing a position as a student researcher in a professional lab or flying through the air in a trampoline harness with friends — or both. “If you let it, this job will change you for the better.” As Brennan Weber reflects on her year of employment with the Department of Recreation Sports, she recognizes her own growth. Working in the Safety program presented her with responsibilities that were challenging and meaningful; and she credits the development of new skills and strengthened character to that experience. Posted in OSU People and Programs, Students and Campus Life. As president of a the OSU Rifle Club, officer for the Karate Club and member of the Pistol Club, Nicholle Miller takes ‘active’ to another level! “I participate because I have fun”, she said. Beyond that, “some of the most important life lessons I’ve learned, as well as the best memories and the strongest friendships have come from participating in the OSU Rifle Club”. “I know that every time I go to practice I am going to have a good time”, she adds. Nicholle relates her involvement with the greater community. “Recreational Sports allows students to represent Oregon State University on a local, regional and national level, as well as in community service events”. This connection is important to Nicholle. Though her involvement, “it’s given me an opportunity and to make strong friendships with others who have common interests”. Nicholle was recently selected to be a Program Manager for Sports and Special Programs and serves on the Sports Club Committee in Recreational Sports. “In order to participate in all of this, and get my school work done, I’ve had to become very good at time management and organization”. And she relishes the activity. “RecSports has prepared me for a fast-paced, healthy lifestyle by keeping me active, organized, focused and by providing additional leadership opportunities”. 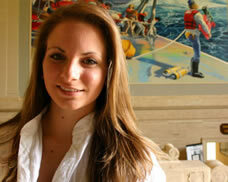 Nicholle is looking forward to a career in the United States Marine Corps after she graduates. James continues, “In observing the way hundreds of people have interacted in the programming that I’ve been part of, I now find it impossible to put others down, discount opinions or be generally disrespectful. 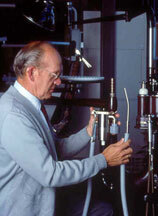 In many ways”, he adds, “All of the lessons I have imparted on participants have been embedded tenfold upon myself”. Being a facilitator has been rewarding work. “Everyone wants to work better in groups and the Challenge Course provides opportunities to learn these skills”. One memory stands out. “I had the opportunity to belay a deaf participant on one of our most challenging high course elements, the Power-Pole. Having to forgo the typical verbal communications used to instruct and encourage participants challenged my conception of programming. Viewing her eagerness and fearlessness despite her limitation was inspiring”. With a degree in engineering, James will work with people to optimize both technical and social proficiencies. “My work through RecSports has prepared me for the social and group dynamic aspects of a professional career”. Asked for his ‘words of wisdom’ for other students, James said, “be malleable! It’s one thing to have an open mind; it’s another to act on it”. Freshman Emily Pickering will be researching lionfish in the Bahamas this summer &mdash; and blogging about it. To read about Emily Pickering’s research and day-to-day experiences in the Bahamas, read her blog, A Chronicle of the Invasion. When you consider Emily Pickering’s lifelong passion for marine biology —childhood trips to Newport to see Keiko the whale; convincing her family, year after year, to see Orcas in the wild off Vancouver Island; becoming SCUBA-certified at age 11 and having 95 dives under her belt by age 19 — it’s unsurprising that she’ll soon count an upcoming research trip to the Bahamas with coral-reef fish expert Mark Hixon among her experiences. Pickering, a University Honors College student and biology major, is the first freshman ever to accompany Hixon and his group to tiny Lee Stocking Island, where they will spend much of their summer underwater surveying the invasive lionfish — a Pacific species that was introduced into the Atlantic, where it is undergoing a population explosion and rapidly consuming native fishes on coral reefs. “As a long-time SCUBA diver, Emily is extremely enthusiastic to apply her underwater skills to studying coral reefs,” says Hixon. 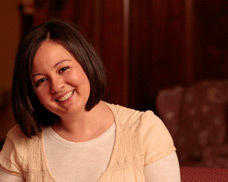 The first time Pickering heard about Hixon’s research at a lecture for incoming Honors students, she thought, “Wow, that could be me.” The fact that she heard about it from another undergraduate, Megan Cook, who had accompanied Hixon to Lee Stocking Island the year before, made working for a world-class researcher seem like a possibility. From there, it was all about the legwork. Pickering contacted Cook and asked for her advice. She spoke with biochemistry professor and HHMI director Kevin Ahern, who mentored her throughout the grant process and gave her confidence that she had something to offer Hixon — despite her lack of lab experience and freshman status. And most importantly, Pickering contacted Hixon on her own. “It was a little intimidating to approach Mark Hixon and say, ‘Hey, I want to work for you,’ but he quickly responded to my calls, and before I knew it, I was in his office talking about his work and being a part of his research team,” says Pickering. Hixon sent Pickering to graduate zoology student Mark Albins, who helped her with the HHMI grant proposal. During her three months on Lee Stocking Island, Pickering will be spending her days helping Albins survey lionfish and with his research on population dynamics. In the free time she has, Pickering will run her own experiments — she’ll be studying lionfish prey preference and digestion. She will also be blogging about her experiences in the Bahamas, so that readers and students get an idea of what day-to-day life at a research station is like. Posted in Marine Science and the Coast, Students and Campus Life. Taryn Luna is attending the New York Times Student Journalism Institute. When Taryn Luna found out she was one of only 20 students nationwide chosen to attend the New York Times Student Journalism Institute in Miami this January, she was stunned. Luna, an OSU junior majoring in New Media Communications, thought the opportunity seemed too good to be true. Participants at the Institute, which is for members of the National Association of Hispanic Journalists, often go on to intern or work at prestigious news organizations like The Washington Post, the Associated Press, The Los Angeles Times, The Boston Globe and, of course, The New York Times itself. Although Luna considered it a long shot when she wrote her 500-word essay and sent samples of her work to apply for the Institute, she has no reservations about going. “I’m so excited to work with students who are passionate about doing this for a living,” says Luna. While at the 10-day Institute, Luna and her fellow students will work alongside veteran journalists from the Times, The Boston Globe and the Time’s Company’s regional newspapers in a newsroom environment. Past participants have been dispatched into Miami to cover presidential speeches and campaign events, the funeral of a famous mob leader, issues such as immigration, and dozens of other stories. Luna started at OSU as an English major, but soon decided that writing papers on Shakespeare wasn’t for her. She switched majors and joined the staff at the Barometer, where she likes most to cover stories that have an impact, like OSU professor Dennis Hruby’s smallpox vaccine. Throughout her time in Miami, Luna plans on keeping a blog to chronicle her experiences reporting there. 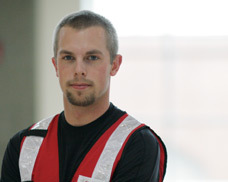 Service is a way of life for Nick Christensen. For Christensen, an OSU senior and natural resource management major, getting that message was important, because he weaves service to others so tightly into his day-to-day life. In this Q&A, Christensen talks about his history of service and his work in Louisiana. Describe your history of service. I’ve been a Boy Scout for the last 16 years, and run a summer camp north of Mt. Hood National Forest along with three other people. Serving is fun for me. I wouldn’t know what to do if I wasn’t. I want to do positive things. I want to help people and meet new people. Serving just seems like a logical thing to do. Did working with the Red Cross in Louisiana give you a different appreciation for the work they do? They teach you in disaster training to be flexible, but I never understood it until I went to Louisiana. I’d come with the understanding I would be doing mass care in Baton Rouge. But when I got there I was assigned to Shreveport, six hours to the north. I was supposed to work in a shelter there, but ended up fixing computers and working in staffing services. You go where they need you. Who were the people on your Red Cross team in Shreveport? A lot of the people I worked with were older and had a different appreciation for what disaster did to communities and people. One was a doctor. One worked for Hummer. One was retired military. Everyone there enjoyed helping. They were all very different people, very different backgrounds. I’ve never worked with a group that hated taking days off so much. I never heard anyone complain that we were there until 9 at night. How were you received in the community? The people in Shreveport were absolutely hospitable. This community had been bombarded with people from all over the state, but they were happy to have us there. I love the people there. They’re amazing. What’s it like working for people who are experiencing a disaster like Gustav or Ike? It’s by far one of the hardest things I’ve ever had to do. By the time people got to me, it was because they couldn’t find a shelter. They were frantic and upset. So for me it was, ‘how can we get these people what they need as quickly and correctly as possible?’ It was a sensitive time — Gustav and Ike hit so close to the anniversary of Katrina, and lots of these people had been through that. You have to remember that you’re not there for yourself. You’re down there to help people. 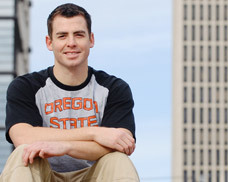 Luke Leineweber took advantage of Ecampus classes in Iraq — and beyond. In recognition of Veteran’s Day, we’ve gone to our archives to reflect on some of the amazing OSU people who’ve combined education with military service. We salute our veterans and value their contributions to both the nation and our university community. For Luke Leineweber, life as a Naval aircrewman on a base in Balad, Iraq had a rhythm — a day flying missions, a day of office work, a day off — but routine did not lead to relaxation. The C-130 aircraft in which he flew and relayed messages to convoys on the ground was shot at regularly at takeoff and landing. The base where he lived during his 2008 deployment (his second) is one of the largest in Iraq, and was mortared daily. It meant that his day-to-day routines on the base had even more value. In his off time Leineweber went to the base’s pool. He played games and watched movies. And he could often be found at the base’s small library, working on Ecampus classes in pursuit of a political science degree from OSU.